They say that roughly ⅓ of a person’s life is spent in bed, which makes mattress shopping a much more important job than it may seem at first. More than half of Americans also suffer from back pain, which can be induced or exacerbated by a bad mattress. Some put off mattress shopping as long as possible, even after the typical 7 to 10-year longevity of the average bed is up, simply because there seems to be an endless number of options. Over recent years some new companies have popped up that offer a different approach to mattress shopping. Rather than offering a range of different mattress types and firmness or softness levels, they instead provide one universal mattress. 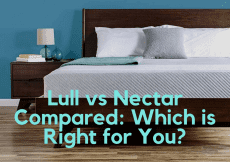 You still get your choice of mattress size but the options end there. At first, they may seem like a disaster, but don’t let that put you off. Two major companies that have gone this route are Casper and Yogabed, and both have thousands of happy customers backing their product. You may have even seen ads for these brands, particularly Casper, over the last two years. 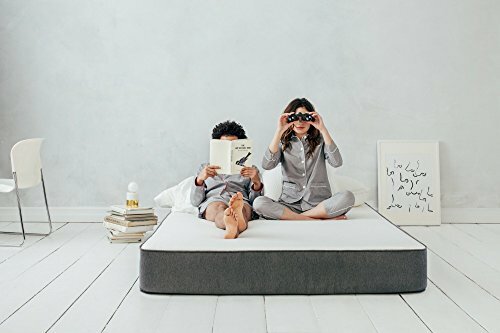 As these mattresses gain more attention, more and more customers are ditching their old spring mattresses for these newly innovative memory foam designs. Unfortunately, both of these companies seem to be equally reputable, making choosing one over the other a difficult task. 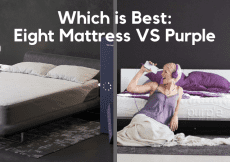 If you’re stuck between which mattress is better, this information may help you. This is why we thought we’d put these two to task, and let you decide which is better the Casper vs. Yogabed. 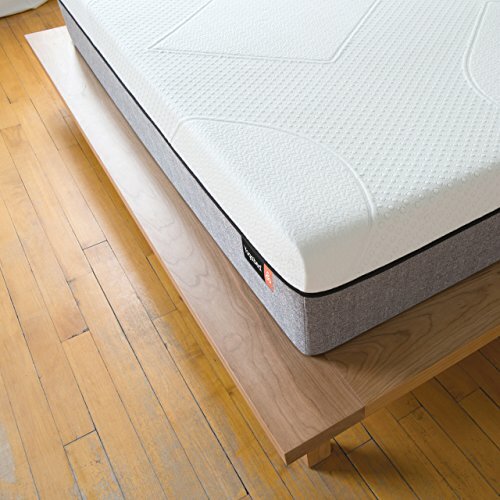 Instead of playing Goldilocks with different mattresses, the Casper offers a universal appeal. It is the ideal combination of support and bounce. A medium-firm mattress. It isn’t so firm that soft bed lovers will feel uncomfortable, but it isn’t so soft/bouncy you feel like you get stuck into the mattress. 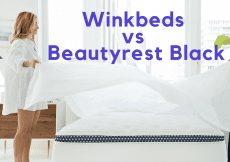 The plethora of positive mattress reviews show that this mattress works for a wide range of people but it still has a slight disadvantage over a traditional mattress since you can’t select a certain firmness or softness level. A downside of many memory foam mattresses is that they end up being too warm and feel like they trap your body heat right under you. Casper solved this issue by adding the open cell latex layer on top of the memory foam layer. This design allows for circulation, regardless of the position you are sleeping in. Warm sleepers will really enjoy this feature, especially if they’ve had bad luck with a memory foam mattress in the past. 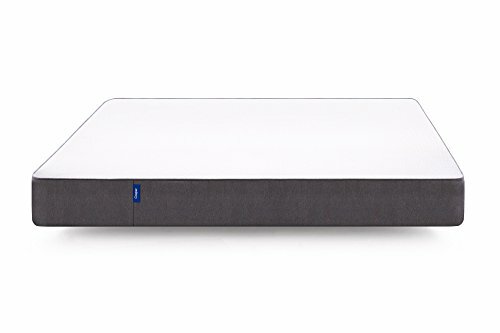 Casper naturally recommends you use their mattress with their own foundation but it will work fine with many others. Box springs and slatted foundations will be fine as long as there isn’t more than a 4″ gap between slats. Flat platform-style foundations aren’t an issue. 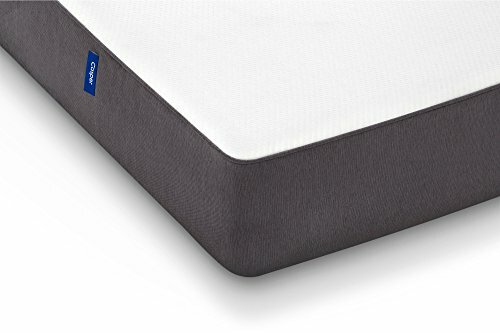 If you would like more information on the Casper mattress, read my full review here! The YogaBed also included a zippered removable mattress cover that literally takes half a minute to put on and take off. Simply throw it in the washing machine and it’ll be as good as new. The Casper has a mattress cover that can be removed but cannot be washed. Traditional mattresses don’t usually have a washable cover either but for cleanliness sake, it makes sense to have one. Many customers find that the YogaBed is actually a bit bouncier than the Casper, which isn’t appreciated by everyone. Ironically the Yogabed is slightly firmer than the Casper but that add firmness doesn’t translate well. While the Casper hugs the body, the Yogabed feels more like a platform. Since the Yogabed is still fairly new, there isn’t as much anecdotal information on it as the Casper. Thankfully the amazing 365-day hassle-free return means you can try out this bed without fear of being stuck with something you don’t want. After all, the best of finding out which is better for you is to actually sleep in the beds for a few nights. In the end, both the Casperand the Yogabed are superior choices over traditional mattresses. They are both very comparable to one another, except for a few differences in price and foam type. The Casper is less expensive, but not by much. This still could be a selling point for someone on a very tight budget. 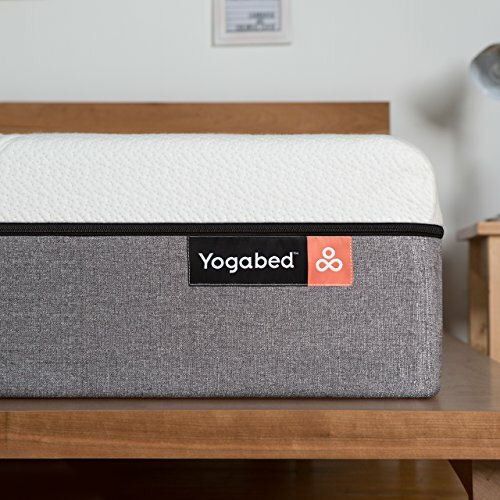 The Yogabed brand does offer payment plans however, so it could still be an option if you prefer the benefits of their mattress. Yogabed’s ventilation and breathability is superior to Casper’s. This difference could be substantial for those that are very warm sleepers or live in a hot climate. Both brands offer 10-year warranties and a very good return policy. Casper’s 100-day return policy is already very good, but Yogabed’s 365-day policy blows it out of the water. That being said, it likely wouldn’t take more than 100 days to determine whether a mattress is right for you or not. Both companies accept free returns and will even pick up the mattress, saving you a lot of hassle.